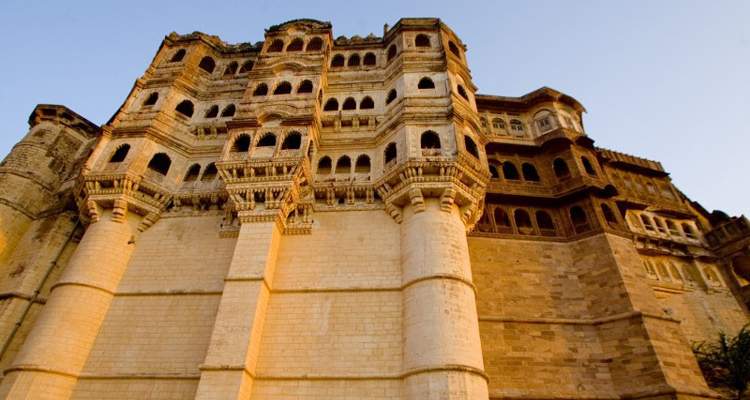 Jodhpur is one of the popular tourist destinations in India also known as Sun City. Umaid Bhawan Palace: Maharaja Umaid Singhji who built this palace was fascinated with western lifestyles so he marshalled the services of a well-known Edwardian architect, Henry Vaughan Lanchester, a creditable equal of Edward Lutyens (architect of New Delhi) to construct a three hundred and forty seven roomed Umaid Palace. This was to become India last of the great palaces and the biggest private residence in the world. Jaswant Thada: On the way down from the fort, on left is Jaswant Thada, the graceful marble cenotaph of Maharaja Jaswant Singh II. His son Maharaja Sardar Singhji built the Taj Mahal of Marwar in the memory of Maharaj Jaswant Singhji II of Jodhpur. Maha Mandir: The Mahamandir Temple is supported by 100 pillars and has carvings depicting yoga postures. Mandore Gardens: Mandore was the former capital of Maharajas of Marwar and is located about 5 miles north of Jodhpur, but was later abandoned for the security of Mehrangarh fort. Here you will find the dewals, or cenotaphs of Jodhpur’s former rulers. Unlike the usual chhatri-shaped cenotaphs typical of Rajasthan, they were built along the lines of a Hindu temple, four stories high, with fine columns and an elegant spire, all in red sandstone. Balsamand Lake and Palace: An artificial lake with a summer palace on the embankment. Clock Tower and Sardar Market. Bishnoi Tribal Village where deer’s are held sacred. By Air: Jodhpur airport is located in the cantonment area at a short distance of 5 km from the city center. The city is well connected with major metropolitan cities in India – Mumbai, Delhi etc through direct flights. By Train: Jodhpur railway station is located at station road. The city is directly connected with the major cities like Delhi, Mumbai, and Chennai through trains. Trains are easily available throughout the year. By Road: Another convenient mode of transportation to Jodhpur is by road. The Jodhpur highway is well connected with cities like Agra, Ahmadabad, Ajmer, Delhi, Jaipur, Jaisalmer and Udaipur by bus. You can also hire a taxi to reach Jodhpur. Local Transport: Mode of transport within Jodhpur includes Taxis, Auto-rickshaws and Tongas. Taxi stand is near to the main railway station. You can also hire an auto rickshaw or explore Jodhpur on a bicycle.